On May 23, 2014, a final rule governing Medicare Advantage (MA) and Part D contracts for calendar year (CY) 2015 was published in the Federal Register. The rule contains two changes in particular that could affect hospice physicians if they prescribe medications that are appropriately charged to patients’ Part D coverage, and these changes are summarized below. As part of its program integrity efforts related to Medicare Part D, the Centers for Medicare & Medicaid Services (CMS) has determined that, effective June 1, 2015, Part D plans may no longer cover drugs that are prescribed by physicians or other eligible professionals who are neither enrolled in Medicare nor have validly opted out of Medicare. While many physicians that serve as hospice physicians are enrolled in Medicare, it is the understanding of the National Association for Home Care & Hospice (NAHC) that some hospice physicians are not. If these hospice physicians prescribe medications for Medicare beneficiaries that are unrelated to the hospice terminal illness or a related condition, and are appropriately covered under the patient’s Part D plan, it is advisable that these hospice physicians begin the process of either enrolling in Medicare in an approved status or of ensuring that they have a valid opt-out affidavit on file with an A/B Medicare Administrative Contractor (MAC). Information on the general provider enrollment process and the time frames for application processing can be found on CMS’ web site here. 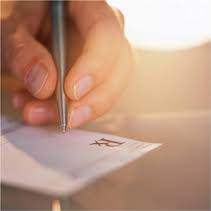 (i) A Part D sponsor must deny, or must require its pharmaceutical benefit manager (PBM) to deny, a pharmacy claim for a Part D drug if an active and valid physician or eligible professional (as defined in section 1848(k)(3)(B)(i) or (ii) of the Act) National Provider Identifier (NPI) is not contained on the claim. (B) Does not have a valid opt-out affidavit on file with an A/B Medicare Administrative Contractor (MAC). (2) Has a valid opt-out affidavit on file with an A/B MAC. (B) Has a valid opt-out affidavit on file with an A/B MAC. The final MA/Part D rule also seeks to address patterns or indications of improper prescribing practices. CMS discusses Office of the Inspector General (OIG) reports that highlight instances in which physicians and eligible professionals prescribed inordinate amounts of drugs to Part D beneficiaries in 2009, as well as prescribers of high percentages of Schedule II and III drugs. As a result, the OIG recommended that CMS exercise greater oversight of the Part D program. CMS notes that it has not had the legal authority to take administrative action against physicians/practitioners that exhibit harmful prescribing patterns and believes that this conflicts with recommendations from the OIG and CMS’ goals of protecting and promoting the health and safety of Medicare beneficiaries and of safeguarding the Medicare Trust Funds. Consequently, CMS has, as part of the regulations that are effective for CY2015, added a new provision at Section 424.530(a)(11) allowing the agency to deny an enrollment application if the prescriber’s Drug Enforcement Administration (DEA) Certificate is suspended or revoked or if the prescriber’s ability to prescribe drugs has been suspended or revoked by the state licensing or administrative body in which the prescriber practices. CMS believes the loss of the ability to prescribe drugs via a suspension or revocation of a DEA Certificate or by state action is a clear indicator that a physician or eligible professional may be misusing or abusing his or her authority to prescribe such substances. In response to these changes, commenters expressed concern about their impact on hospice and palliative care - as dosages for medications may, based on the patient condition, be higher than the manufacturer recommends - or drugs may be used for off-label, yet clinically appropriate, use that represents the standard of care. CMS rejected recommendations by some that hospice/palliative care physicians be exempted from this regulation. CMS did acknowledge, however, the validity of these concerns and underscored their recognition that each patient is different and determinations of appropriateness must be made on a case-by-case basis. CMS intends to include all scientifically-supported indications for a drug’s use irrespective of whether the use is on the FDA labeling for the drug. CMS also stressed that they intend to invoke this authority only in very limited and exceptional circumstances. § 424.530 Denial of enrollment in the Medicare program. (ii) The applicable licensing or administrative body for any State in which a physician or eligible professional practices has suspended or revoked the physician or eligible professional’s ability to prescribe drugs, and such suspension or revocation is in effect on the date the physician or eligible professional submits his or her enrollment application to the Medicare contractor. § 424.535 Revocation of enrollment in the Medicare program. (ii) The applicable licensing or administrative body for any state in which the physician or eligible professional practices suspends or revokes the physician or eligible professional’s ability to prescribe drugs. (A) Whether there are diagnoses to support the indications for which the drugs were prescribed. (B) Whether there are instances when the necessary evaluation of the patient for whom the drug was prescribed could not have occurred (for example, the patient was deceased or out of state at the time of the alleged office visit). (C) Whether the physician or eligible professional has prescribed controlled substances in excessive dosages that are linked to patient overdoses. (D) The number and type(s) of disciplinary actions taken against the physician or eligible professional by the licensing body or medical board for the State or States in which he or she practices, and the reason(s) for the action(s). (E) Whether the physician or eligible professional has any history of ‘‘final adverse actions’’ (as that term is defined in § 424.502). (F) The number and type(s) of malpractice suits that have been filed against the physician or eligible professional related to prescribing that have resulted in a final judgment against the physician or eligible professional or in which the physician or eligible professional has paid a settlement to the plaintiff(s) (to the extent this can be determined). (G) Whether any State Medicaid program or any other public or private health insurance program has restricted, suspended, revoked, or terminated the physician or eligible professional’s ability to prescribe medications, and the reason(s) for any such restriction, suspension, revocation, or termination. (H) Any other relevant information provided to CMS. (A) Whether the physician or eligible professional has a pattern or practice of prescribing without valid prescribing authority. (B) Whether the physician or eligible professional has a pattern or practice of prescribing for controlled substances outside the scope of the prescriber’s DEA registration. (C) Whether the physician or eligible professional has a pattern or practice of prescribing drugs for indications that were not medically accepted—that is, for indications neither approved by the FDA nor medically accepted under section 1860D–2(e)(4) of the Act—and whether there is evidence that the physician or eligible professional acted in reckless disregard for the health and safety of the patient.